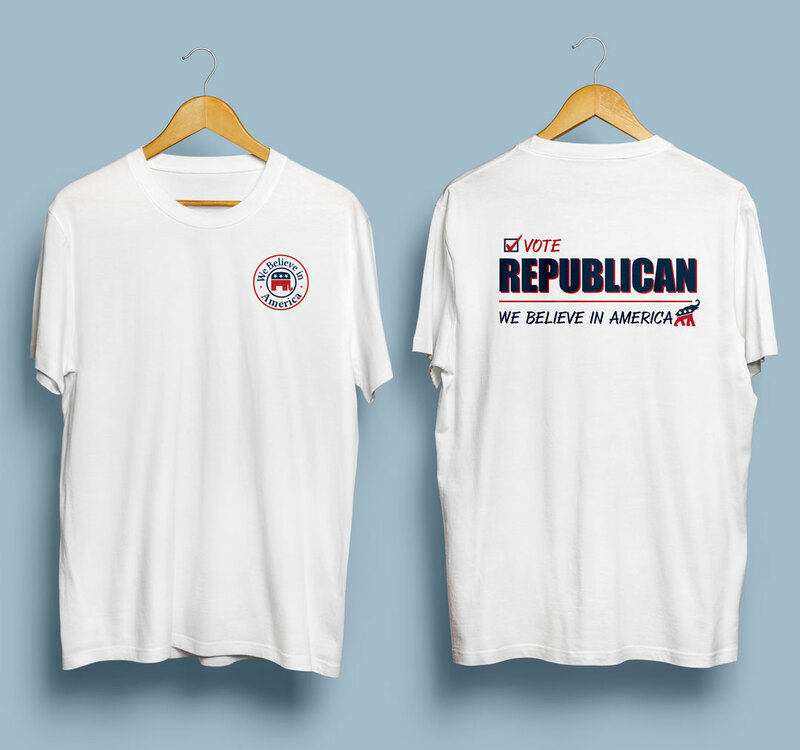 The Chelmsford Republican Town Committee is proud to offer our new “Vote Republican – We Believe in America” t-shirt for sale! 2016 is an exciting year to be a Republican, so show your pride with our t-shirt while also helping the CRTC with our fundraising efforts. The CRTC uses the funds to help support Republican candidates in local, state, and federal elections, as well funding our annual Maxine Vaitses Memorial Scholarship that is awarded to a college-bound high school senior. We will be selling the t-shirts to the public at various events throughout the year, but we are offering the shirts to our members and to friends of the CRTC first. Design: Please see the attached file for an image of the front & back of the t-shirt. Price: Only $15 per t-shirt! This is a great quality t-shirt – you can’t have too many of those! Ordering: Respond to this email with the number of t-shirts and sizes you would like. I will respond to your email to confirm and will coordinate payment and delivery. Please make checks payable to “CRTC”. Timing: Once the initial t-shirt order is placed (approximately one week from today), it will take another two weeks for the t-shirts to be produced. So please allow 3-4 weeks for delivery. A special “thank you” to Center Sports at 4 Alpine Lane in Chelmsford for partnering with the CRTC to offer these t-shirts! If you have any questions, feel free to email me or you can call me at 978-764-8037. We look forward to your order, and to seeing everyone show their enthusiasm to Vote Republican! Please visit our website for information on the CRTC at www.chelmsfordgop.net.